Super cute light bubblegum pink dress. Gets loads of compliments as its so cute. 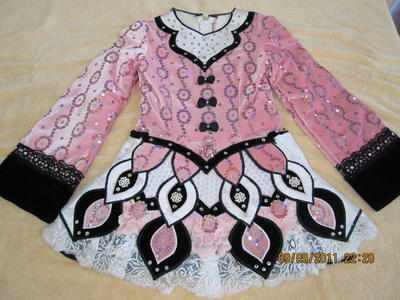 This a petite dress and would suit a novice, prizewinner or pre-lim dancer. Easy and lightweight to dance in. Asking Price: $US650 obo. Shipping costs are included for my own country, overseas shipping is extra. Returns are negotiable.